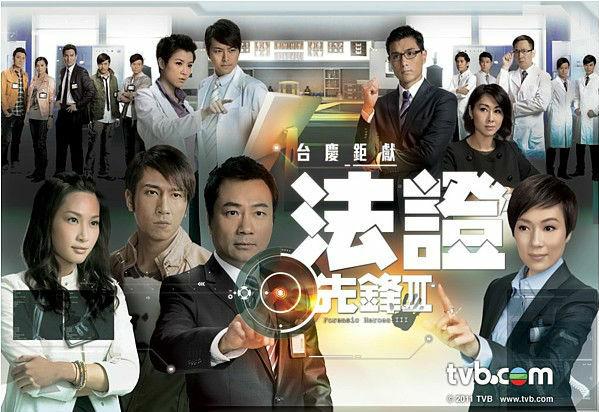 Senior Chemist PO KWOK-TUNG (Wayne Lai), Senior Forensic Pathologist CHUNG HOK-SUM (Maggie Cheung ), Senior Inspector LING SIN-YEE (Kate Tsui) and Sergeant LEE CHIN-FUNG (Ron Ng) are brought together by a series of bizarre murders. Through years of close collaboration, PO and SUM who share similar personality traits have gradually developed a tacit understanding with each other. Following his separation from his wife CHOW YIK-FEI (Nancy Wu), TUNG comes to realize that SUM is the one who knows him best. Having experienced so much together in the Regional Crime Unit, YEE and FUNG begin to form a genuine bond and finally fall in love. The romantic story of another perfect pair, Scientific Evidence Officers CHEUNG CHEUK-KWAN (Aimee Chan) and HO CHING-MAN (Edwin Siu), is a touch of color added to the serious atmosphere in the office. Day after day, this invincible team of experts continues to combat crime through their cross-departmental collaboration in the areas of forensic identification, chemistry, logic, psychology, pathology and scientific technology.